#1 New York Times Bestselling Author and “Queen of Suspense” Mary Higgins Clark to publish a collaborative novel with thriller writer Alafair Burke in November 2014 | News and Corporate Information about Simon & Schuster, Inc.
New York, N.Y., June 16, 2014 –Simon & Schuster and Pocket Books announced today that #1 New York Times bestselling author Mary Higgins Clark will publish a collaborative novel with bestselling author Alafair Burke. The Cinderella Murder will be published in November and feature characters Ms. Clark introduced in her most recent #1 New York Times bestseller, I’ve Got You Under My Skin. The deal for The Cinderella Murder was announced jointly by Jonathan Karp, President and Publisher of Simon & Schuster; Marysue Rucci, Vice-President and Editor-in-Chief of Simon & Schuster; and Louise Burke, President and Publisher of Pocket Books. Ms. Rucci, the collaboration’s editor, acquired world and audio rights from Robert Barnett, representing Ms. Clark at Williams and Connolly, in a joint deal with Pocket Books and Simon & Schuster UK. Pocket Books will be the paperback publisher of The Cinderella Murder, which will also be available from Simon & Schuster Audio. “This suspenseful collaboration is going to produce a lot of sleep-deprived readers,” Karp said. Mary Higgins Clark published her first novel, Where Are The Children?, with Simon & Schuster in 1975. In total, she has published 46 books, 33 of which are suspense novels. 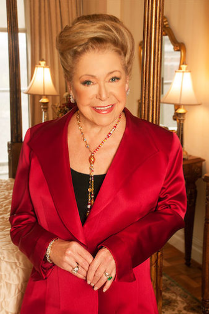 She coauthored five holiday mysteries with her daughter Carol Higgins Clark. Ms. Clark’s books have appeared 20 times in the #1 slot on the New York Times and have sold more than 100 million copies in the United States alone. The Cinderella Murder will be the first collaboration novel Ms. Clark has written with an outside author, and the first time she has undertaken a continuing series. The Cinderella Murder (November 2014) will pick up the premise of Ms. Clark’s most recent novel, I’ve Got You Under My Skin, and continue the story of television producer Laurie Moran’s investigations into cold case murders. This time Laurie’s show is searching for the truth behind the decades-old murder of a beautiful UCLA student whose body was found in the Hollywood Hills missing a shoe. Dubbed the “Cinderella Case” by the press, Laurie delves into the young girl’s past loves and ambitions—as well as the present-day dangers for those questioning her death. Alafair Burke is the bestselling author of 10 novels, including the thrillers If You Were Here and most recently, All Day and a Night. The daughter of another Simon & Schuster house author, James Lee Burke, Ms. Burke is also a former prosecutor who currently teaches criminal law at Hofstra University in New York. With her impressive experience and reputation for creating strong female characters, Ms. Burke was an unparalleled choice for this exclusive opportunity. “I am delighted to be embarking on my first continuing series with Alafair Burke – a gifted and bestselling author,” Clark said.